For the last 10 years, cast member Jennifer Pitoniak has been serving up delicious Dole Whips at the Tiki Juice Bar in Disneyland park. The popular, sweet treat is fat-free, gluten-free, dairy-free and around 100 calories, which makes it, in my opinion, the perfect park food. 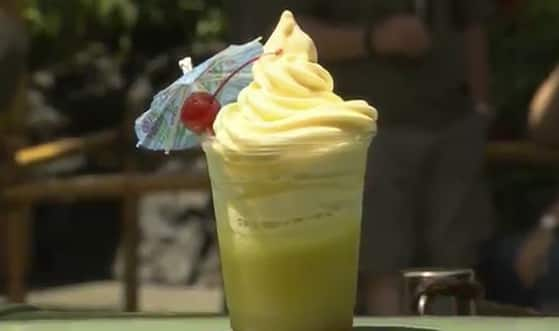 Last year, Jenn helped the Tiki Juice Bar serve up 650,000 Dole Whips and Dole Whip Floats, for a combined 1.4 million consumed at Magic Kingdom Park, Disney’s Polynesian Resort and Disneyland park. In celebration of the 50th anniversary of Walt Disney’s Enchanted Tiki Room, she gave us a glimpse of life in the Tiki Juice Bar – our camera gets so close you can almost taste it! Just a note – Dole Whips are lactose-free, but not dairy-free. I wish they would sell Dole Whips throughout the parks. They would go like…hotcakes! 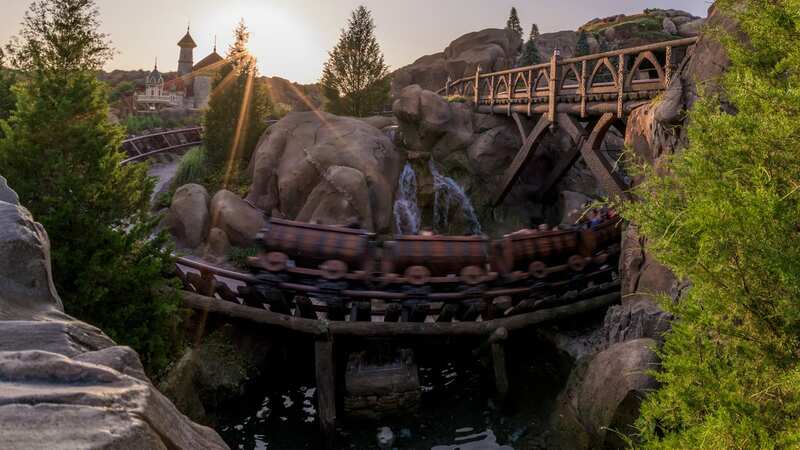 This is my favorite thing in all of Disneyland. My family thinks I’m a little nuts, but I would choose to do this every day. Land is better than kingdom in the fact that you can eat your float in the tiki room while at kingdom, you cant take it in with you. Kind of a downer. Jennifer is also a Disney Legacy! I’ll be getting one (or two or three) in just two weeks! I can’t wait! No trip to Disneyland is complete without a Dole Whip float! OMG! I never knew there was a “dole whip” button. Im craving one now! It has﻿ been many years since I met the condition for one of those Dole Whip buttons and I have been back for more! I’ll have a Citrus Swirl, thank you. New city hall button ” I had my first Dole Whip ” that would be great , unfortunatley i had my first over 50 yrs ago. And she is ALWAYS so sweet when she does it! She truly has the Disney magic in her! I bet she would have a ton of fun working at Trader Sam’s!